There were 19 sets produced throughout the years with checklists as one of the cards(Ex. 1981 Topps Traded #132). The least represented team(Expos) had 115 cards in Topps Traded’s run. The team(Yankees) with the most had 494 cards across the set. 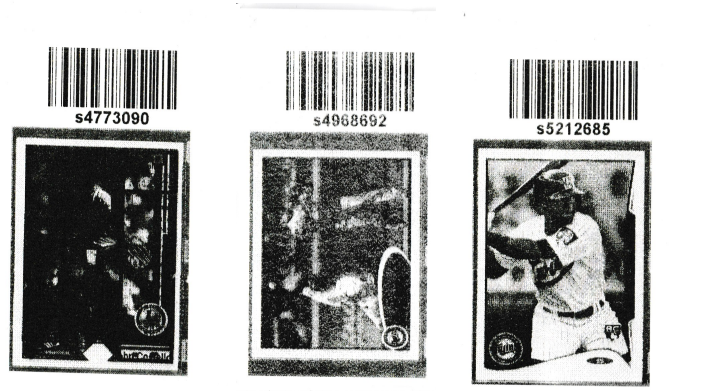 Team USA has 95 Topps Traded cards – see 1988, 1991, 1992, 1993. Combining the two least represented teams(Expos/Nationals) leaves the Rays, and Diamondbacks as the two least represented teams. Makes sense? Duh. The next three in order were the Rockies, Royals, and Twins. The usual suspects are near the top when sorting by most represented: Yankees, Cardinals, Red Sox, Mets, and Dodgers. With that I’ll leave you with the team breakdown. In my original post, I organized all of Topps’ #1 cards in a spreadsheet after cataloging all of Topps base cards in a spreadsheet. Some were Hall of Fame players, some were league leaders cards, some were repeated a few times. Once I finished with Topps, I added all the base sets of Bowman, Donruss, Fleer, Leaf, O-Pee-Chee, Pacific, Pinnacle, Score, Sportflics, and Upper Deck with every year, set, card number, player, and teams. I’ve organized them below by company then year. Below that, I totaled each company’s total of #1s, and each team’s #1s. If you make it to the bottom, I’ll be surprised. =D. Here’s the spreadsheet link. Across the 11 brands listed below, there were a total of 268 sets, with 301 total players represented. Cards with multiple players on the front(league leaders, grouped rookies) count multiple times, once for each individual player. Players may be duplicated, they’re listed once for brevity. Panini’s Chronicles, which released around Thanksgiving, can be found in retail and hobby sets. Here I’ll be demo-ing a retail box. A spendy risk with only four packs, and twenty cards for 20$, but I took my chances and was rewarded. Pack One: Chris Archer, Pete Rose, Yonder Alonso, Scott Schebler #/999, Mitch Haniger Absolute Rookies Blue retail parallel. 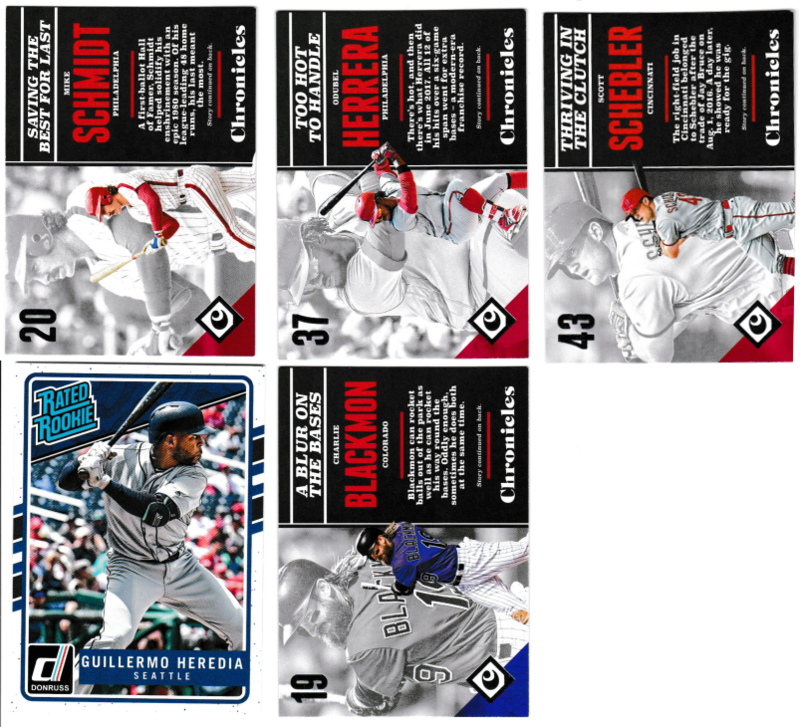 Pack Two: Mike Schmidt, Charlie Blackmon, Odubel Herrera, Scott Schebler #/999, Guillermo Heredia Rated Rookies. 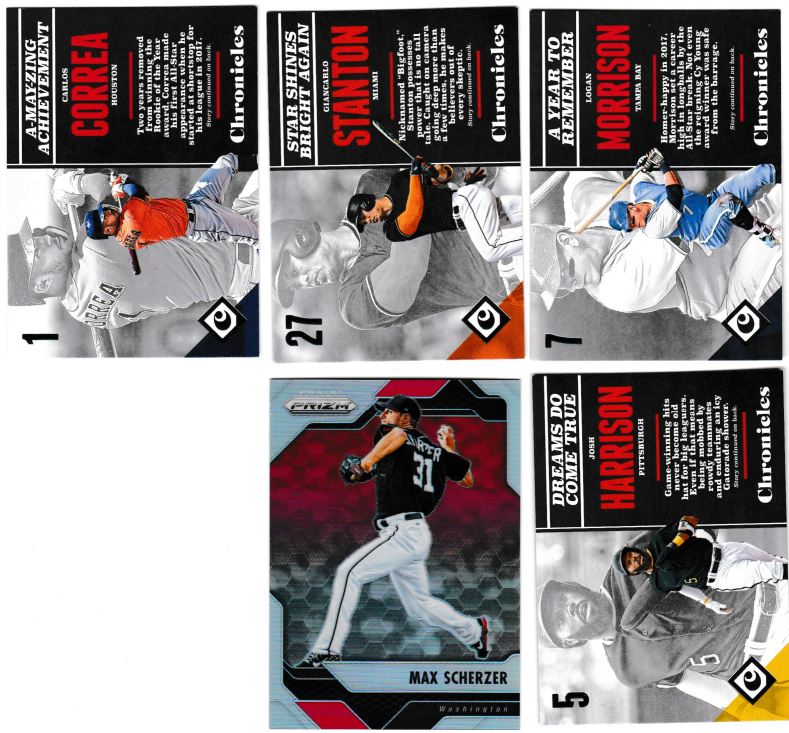 Pack Three: Carlos Correa, Giancarlo Stanton, Logan Morrison, Josh Harrison, Max Scherzer red prizm. 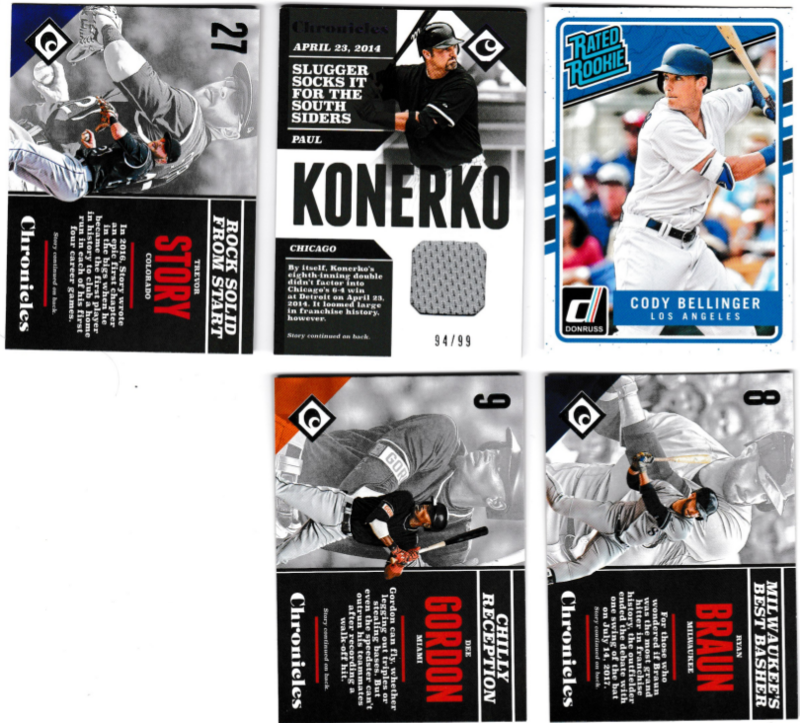 Pack Four: Trevor Story, Dee Gordon, Ryan Braun, Cody Bellinger Rated Rookie, Paul Konerko #/99 relic! Closeup of Paul Konerko, #94/99. I’ve got another one of these to post as well, and I just finished cataloging every major set released by the major brands so expect a updated #1s post. In the lead up to the holiday season, my parents got several packages that were ours without knowing what the contents were inside. How could they know whether they were a present for the wife or myself, or if it was part of a secret santa exchange? They can’t, but when they mentioned that I had a bubble mailer from a “Fedor?” – I knew it was from Twitter. Some time back I held a contest celebrating my crossing the 2,000 followers on twitter. I only had a few entrants, and decided to giveaway something to each person. With each package I included a blank dupe card with instructions to decorate, draw, sign, whatever – and return. Well I nearly forgot about those when this package showed up. So when I got to the parents house one day last week, I was surprised to say the least. Not that I had one returned finally, but with all the other cards included! Check these out! Manager, and light hitting 2B/3B in his playing days, Frank Quilici became a fan favorite for his interactions with said fans. 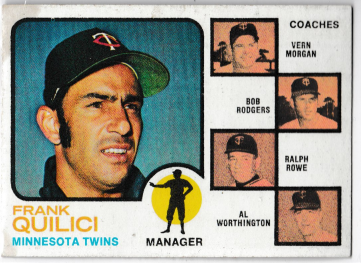 As well, this 1973 Topps card is the “rarer” non-solid background in the coaches area. Can almost make up the palm trees at the Twins spring training facility. Besides, how can you not love those ’70s sideburns? Including a PC card? Definitely a plus in my book. Not too many people opened the limited run Leaf Memories, and I swear I’ve got most of the Eades print run. 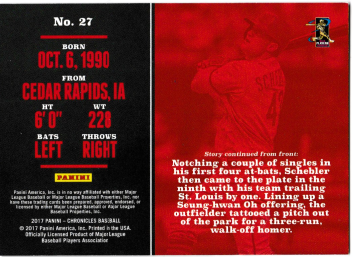 Danny Santana’s missing a name on his rookie card, while Paul Sorrento had centering issues top/bottom at the cutter, and while these are an issue – I’m still not sure what the hell happened to the poor Johns – Costello and Shelby being double printed on this 1989 Upper Deck stood out as a card I HAD to have in my collection. Nick Punto, and Jamey Carroll are the definition of Ron Gardenhire’s “piranhas“-era “The Twins Way“. A term given to us by the White Sox manager at the time, Ozzie Guillen for our ability to load the bases and small ball our way to runs, as if nipping at your heels like piranhas. Both were small ball contributors with multiple decent gloves around the infield. Both missing a little something here. 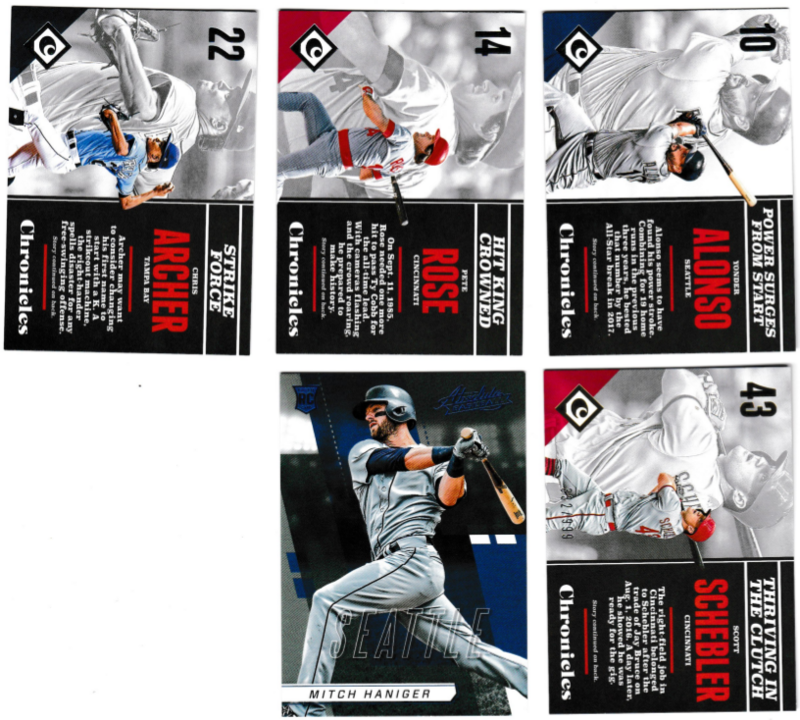 Carroll’s name is missing – a foil error, with Nick Punto’s seemingly having a double pass of black foil? Meanwhile, Wayne Nordhagen’s APBA card here is everything right with APBA cards: 1) my hometown 2) confusing to the unfamiliar 3) right player, right card. :D.
If you ignore the centering issues with the brighter card, the difference should be obvious. The version with the missing copyright and year is the rarer error(say that twice…) and the one I’ll have in my next COMC mail day. =D. I often stop by the parents house once or twice a week, and while my parents are great, I also love seeing bubble mailers waiting for me! Recently I had a few packages which I’ll break down across a post or two. The above cards came from user @EEFFL on Twitter. I’ll admit my lysdexia has always confused me how many E’s and F’s are in his username(3 E’s?) – but Twitter’s autocomplete feature is a godsend. 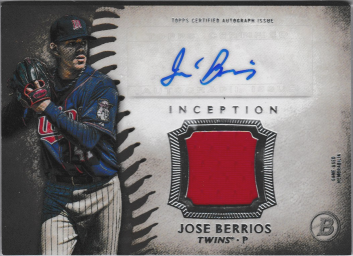 :D. I traded off a Diamond Kings Luis Severino for the above Jose Berrios auto from 2015 Bowman Platinum and Miguel Sano from 2017 Updates #/50. 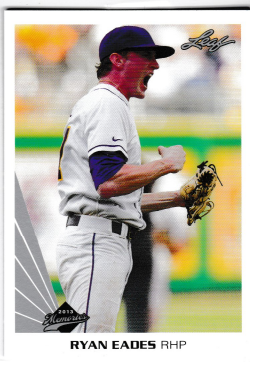 I’m not talented enough in Gimp to know how to fix that distortion/saturation, but my scanner did that card no justice. #ThanksParallels. Things to send: Allen & Ginter minis. I never know if I need these or not, one of these days I’ll get more organized with them. -_-. An update, I believe Delmon is currently crushing baseballs in Australia’s ABL. A mish-mash of parallels and inserts here. 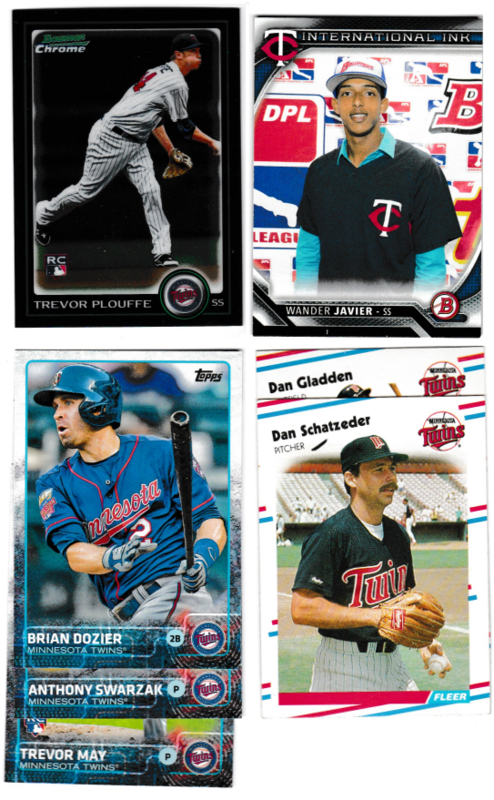 Those blue parallels from Topps Bunt shouldn’t be too hard to complete a team set – they’re one per pack this year. The year Winfield’s Stadium Club was issued there were several yellow/red name plate parallels whether intentional or not. I’ll have to check my binder on this one as well. Sano seems to be getting shafted by my scanner, but in this case the name does look as blacked out in hand as it does on the scanner bed. Parallel of some sort I’ll never research – beautiful photo though! #ThanksSooz. Who doesn’t love a little H? No, not the drug. Or the wrestler. Heritage! 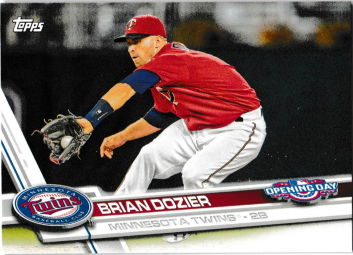 I believe Nunez and Suzuki are from hi-series H. *shrug* What I do know is the Brian Dozier below is from Opening Day. I tuned out Topps after buying team sets for S1/S2 this year otherwise I find Opening Day a fun break each year. 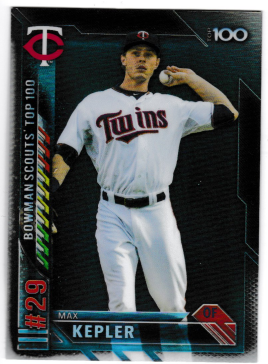 These fall under that same criteria where if I could find them locally this year, and I weren’t tuning out Topps, Update is a fun set to finish as a spiritual Series 3. 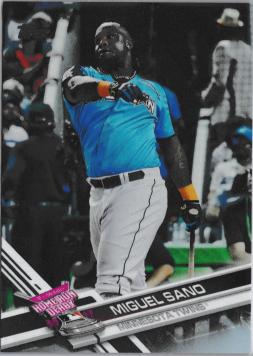 Strangely that Sano turned out better than it’s #/d version. 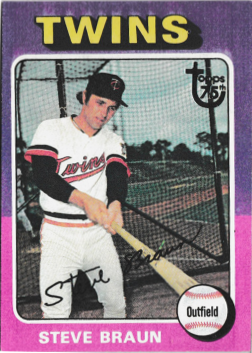 Topps’ 75th, from ’75, featuring Steve Braun! The washed out top team name/photo border adds a little extra flair to one of Greg’s favorite sets. Topps stamp be damned. 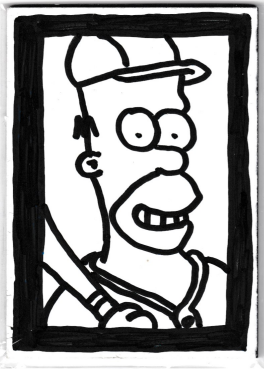 Finally, when I sent the LAPD cards, I asked Greg to decorate a blank card for my #TheHobby binder. 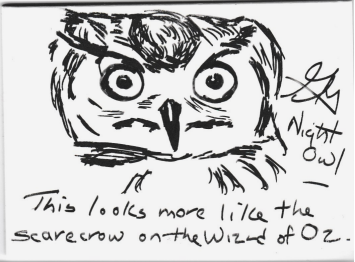 He obliged with this owl, what else? Nightmare fuel? Great sketching? You decide. :D. Two more bubble mailer packages to follow, including my #SuperMomSecretSanta4! In 1951 Topps printed two main series dubbed ‘red backs’ and ‘blue backs’ because of their differing back colors. Thank you Captain Obvious. As such, two cards share #1 that year. It’s obvious who had the better career when you look at the stats. Year Player WAR for season prior to #1. WAR for season selected #1. Total WAR prior to #1. Total WAR after #1. Cumulative WAR. Yogi Berra(blue) entered 1951 with 12.4 career bWAR, having posted 5.6 WAR the prior season, adding another 4.8 WAR in 1951. He’d finish with 47.1. His son would later play 11 seasons totaling up 5.4 total WAR, and a 1979 World Series title. Eddie Yost(red) entered 1951 with 4.5 WAR, mostly from the previous season’s 4 WAR. After 1950, he’d post 29.7 to finish his career with 34.2 bWAR. The Walking Man(six times leading the league in walks between 1950 and 1960) is NOT(if his daughter is to be believed!!!) directly related to the other Yost(Ned) to play in the majors, despite the obvious assumption one could make based of years played and name alone. 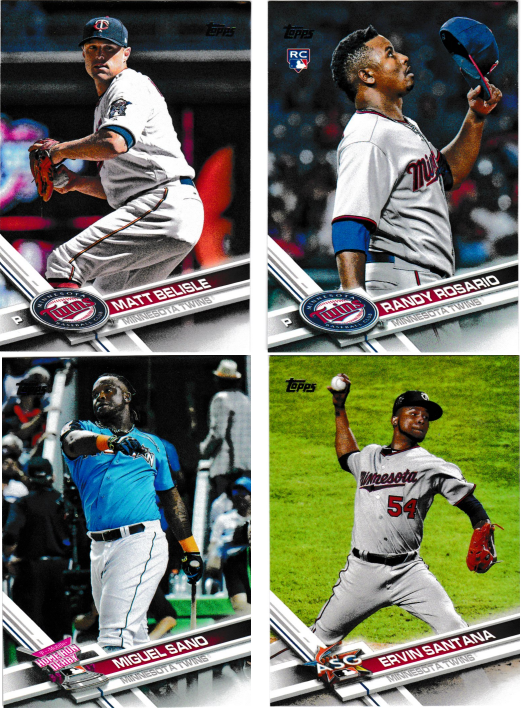 Several years Topps featured league leaders from the previous year(usually average, home runs, RBIs for hitters; wins, ERA, and strikeouts for pitchers). 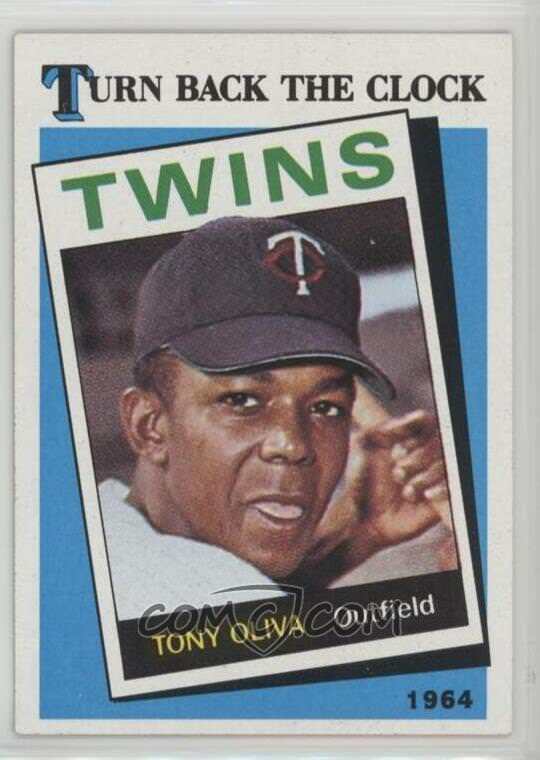 A few of those years line up with card #1: 1963-65, 1968-69, 1977, 1979 and finally in 1981. For 1973, Topps’ #1 matched Babe Ruth, Hank Aaron, and Willie Mays …for some reason or another. :). As well as league leaders, there were a few years Topps celebrated the previous year’s World Series champions with card #1: 1967, 1970-1972, and two years where the first card was the MLB/AL Commissioner – 1956(William Harridge), 1959(Ford C. Frick). A few flash in the pan type players(Cater, Ellsworth, etc. ), as well as several Hall of Fame players, though 1973 obviously takes the cake here. Despite never having been #1 previously in a Topps set, Derek Jeter was 2015’s representative honoring the Yankee Captain’s career – who retired in 2014. This wasn’t the first time however, as in 1980 Topps chose to honor the career of Lou Brock. Do you favor stolen bases? Lou Brock held the stolen base record until Rickey Henderson came along. Nothing against Brock’s two World Series titles, but Jeter has a few of his own. As much as this Twins fan hates to admit, Jeter had arguably the better career between the two. Jeter however wasn’t a part of arguably the worst trade in MLB history. 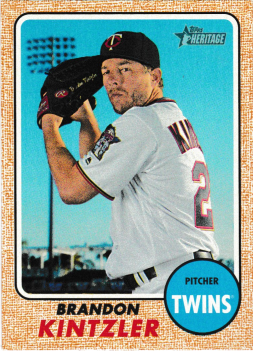 Having moved on from league leader cards, Topps sets in the 1980s through the early 1990s had a tendency to feature record breakers or “highlights”. Featuring players who broke this or that record – either for a season, or a single game record – Topps had you covered. 1982 Topps celebrated Steve Carlton’s breaking of Bob Gibson’s NL strikeout record. 1983 Topps featured Tony Armas’ single game feat of 11 putouts. 1984 again featured Steve Carlton, this time for winning his 300th game, and momentarily holding the all-time strikeout record. 1985 Topps had a Carlton, but not that one. This time Carlton Fisk’s 25 inning affair behind the plate was pictured, having broke the previous record by one inning shared by many catchers. 1987 Topps’ wood grain set was led off by Roger Clemens’ 20 strikeouts in one game was the record broken. A feat he’d tie a decade later in 1996, and matched by Kerry Wood(1998), Max Scherzer(2016), and Randy Johnson(2001, though the game went 11 innings – Johnson pulled after 9). 1988 Topps displayed Vince Coleman’s third consecutive 100 stolen base season. 1989 Topps chose George Bell to lead off the set with his three home runs on 1988’s opening day. I’d argue that’s maybe the most appropriate way to celebrate that record day. Since matched by Dmitri Young, and Tuffy Rhodes. 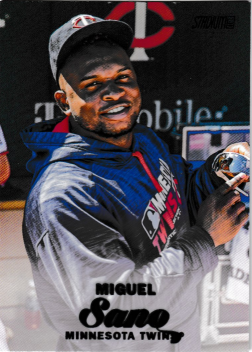 Taking out all of those featured so far, there’s a few players who have been on several Topps card #1 spots. Despite his swapping between Bowman and Topps, Ted Williams was the first repeat offender owning the 1st slot in 1954, and 1957. Alex Rodriguez made a name for himself in the 2000s for his huge contracts, rumored PED usage, as well as on-field play. I suppose. Hank Aaron and Nolan Ryan owning several #1s near the end of their career feels like Topps poking and prodding them to retire, especially Nolan Ryan. At least with this group, they’re all worthy of owning that first slot for their respective years. John Lackey, and Ryan Braun(‘roids) aside, you won’t hear many arguments that Trout, Harper, and Bryant are the faces of the next generation of MLB players. I find it surprising Mike(err…Giancarlo) Stanton hasn’t been first, but maybe after this season’s All-Star, MVP, and 59 home run(!!!) season he’ll finally get that honor in 2018 Topps. Go vote now! Bracing for the inevitable Aaron Judge #1 announcement…. Let me know who your favorites are in the comments. :). Might run through Donruss, Fleer, Et. Al. when finished adding them.